Welcome to the first patch of the year, which also makes it the first official patch of the 2015 season! While the preseason is transforming into the regular season with this patch, this doesn't mean we're done with everything thus far. In reality, the point of the preseason is for us to monitor and quash any potential "Black Cleaver" situations where singular items, champions, or strategies come to dominate the scene in unique ways. In this way, we're pretty happy with the stability of our preseason changes, so we're rolling out a few last treats (BASE GATES! VOID GATES!) to kick off the new year. So what can you expect in patch 5.1? Well, aside from the start of the 2015 ranked season, the theme of this patch is on Jungle diversity and following up on the preseason. In terms of jungle diversity, while we haven't put all of the junglers front and center on the champion change list (we thought about it, but have stuck with alphabetical order), you can see a number of small buffs for the ones struggling along. So for this patch, check out the small changes to Elise, Evelynn, Hecarim, Nautilus, along with some new changes to Smite (two charges baby!) and a few tiny gold upgrades. On the other end of the patch narrative spectrum, we've got a lot of followup to the 2015 preseason, including some significant power shifts for Baron Nashor, the addition of Base Gates and the Zz'Rot Portal, and some small trinket rebalancing to help out defending team vision. We're hoping these few changes continue to deepen the Strategic Diversity (there it is) of League of Legends, and will keep a close eye out for potential opportunities to continue doing so in the future. And that's it for the first patch of the 2015 season! Good luck this year on your climb to Challenger (aim high! ), and we'll see you again soon with more balance changes for the new year. The 2015 ranked season will begin soon! Head to the announcement for more information! A few things: first, we're not turning this change on immediately. In order to properly test for its impact on specific champions, the plan is to wait a while (about a week) before enabling it. Additionally, this lets us isolate the fix so we can turn it off if we run into another unseen code bug like last time with cone spells. Second, what is the change? Basically think of overlapping crowd control abilities each starting an individual timer when they hit an opponent. With the old way League was coded, whenever one timer finished up, the victim would be allowed a split-second to cast spells or attack before being locked up again by the second or third crowd control ability. In other words, even if you perfectly chain your disables, the enemy could occasionally flash away while still stunned. This change should solve most of those problems with overlapping crowd control effects, although we're still aware of a few edge cases where CCed targets would be able to issue single auto attacks while transitioning between disables. So far, however, this case has been very difficult to replicate. We're going to fix those as soon as possible (think 5.2 or 5.3), but there should no longer be any times where an enemy is completely disabled through overlapping crowd control abilities and they can still use Flash in between. We'll be watching this closely after we turn it on! BETTER SAFE THAN SORRY Fixed a long-standing bug where champions with overlapping crowd control effects could occasionally use abilities (Flash, Zhonya's Hourglass, etc) when transitioning between disables. This will be turned on at a later date in the patch. Alistar has been updated! Check out the article if you want the full story, or below if you just want the specifics. 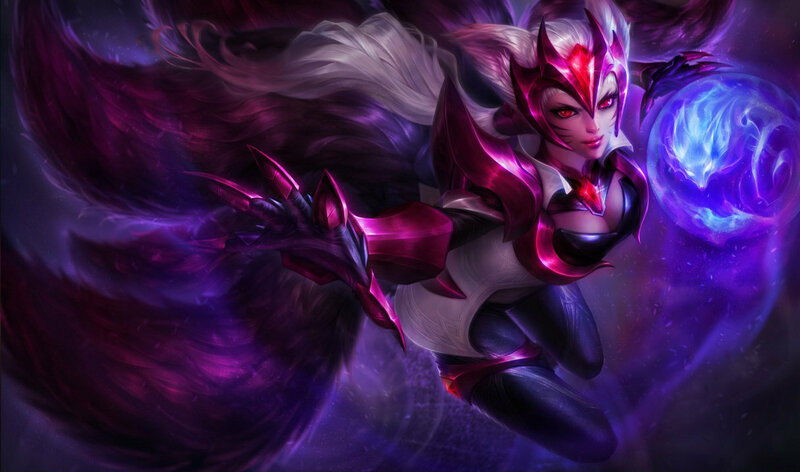 SPLASH Ahri has received a new base splash! Another patch, another Azir bug-fix. Jokes aside, this specific problem would Arise (heh) when Azir would issue an attack at maximum range, walk out of that range, re-enter range and issue the attack again. In effect, Azir would trick himself into thinking the soldier could attack when it couldn't, creating the illusion that it should have dealt damage. Shoutouts to NA summoner 'A Mana Potion' for helping us track this one down. NO MORE FAKE-OUTS! Fixed a bug where a sand soldier would appear to attack but fail to do damage. For a champion with such high burst potential, trade-offs needed to be made to keep Corki's high-power, high-damage lane in line. Increasing Valkyrie's mana cost allows for us to maintain an important lever that presents options to Corki's opponents: either he uses so many spells that he can't escape, or he gets forced to use Valkyrie to escape and gives you some breathing room before beginning his barrage all over again. With 5.1, we've decided to continue passing along love to some junglers that haven't had the greatest time thus far. With this in mind, we begin with our resident ex-top-tier-spider, Elise. This one's pretty cut-and-dry; previously we had kept Elise's bonus damage low to curb some of her clearing power, but now that the jungle's got a much larger health pool, well, we felt we could accommodate her accordingly. While obviously not a "this changes everything!" patch note, we'll continue to keep an eye on Elise in the new season to see if she needs a little more love. EVELYNN HAS MORE MANA REGENERATION WHILE STEALTHED AND RAVAGE PROCS ON-HIT EFFECTS. We'll stop shouting now. Continuing with Evelynn, we're adopting the same 'slow-but-steady' approach as with Elise. Mana's always been a huge issue for Eve, and that's never been more clear than in a season without Spirit Stone's sustain. Doubling Evelynn's passive mana regeneration while stealthed should see her more active in fighting jungle monsters and champions alike, while adding on-hit effects to Ravage opens up unique item synergies (such as Blade of the Ruined King, Devourer Enchant, the Sheen family) to take advantage of those mid-game spikes. Previously, Urchin Strike wasn't applying sheen effects when it was used too close to his targets. Now you can Q in without fear of your spells...fizzling. Boomerang Throw's cooldown refund is lower, but ranks back up to normal through ranks via Gnar! Unlike Gnar's origins, this yordle's strong laning phase is no big secret. Pulling back on the uptime of his harass should make things more manageable in the early game, while ranking his ultimate lets him keep up with the pace of frantic late-game teamfights. Next stop on our 2015 Jungle Love Train is none other than the Horselord himself, Hecarim. Jungle difficulty's been rough on our little pony, and with no spirit items to keep his sustain up, he's found more time in the stable than we'd like. Janna's the type of champion whose kit keeps her consistently powerful. Even when she fails to see widespread play competitively, she's never far from showing up and surprising the world with just how useful she can be. These days she's back to her old tricks - namely, protecting carries and disengaging teamfights for days on end - but while digging deeper we found that her Tornado's width was actually hitting much wider than the particle indicated. Refactoring it to match the visuals certainly decreases her power, but in a way that promotes the type of dodgeability she needs to not dominate the support role. Hyper Charge has been slightly reduced in its total attack damage scaling at later ranks. For a guy so strong when it comes to long-range combat, it doesn't make the most sense that he should blow you up in close-quarters without the use of his hammer. Lowering Hyper Charge's late-game shenanigans should keep even the most fed Jayce's out there from getting too unfair. It's also unfair for him to be that good looking, but that's not something we can nerf. Though Kalista hasn't had her time to shine just yet, few out there fail to acknowledge her potential. Unlike many marksmen, Kalista's power can be harder to access due to the responsibilities of her Oathsworn to follow-up or create opportunities for her to make plays. Instead of reducing Kalista's reliance on her soulbound partner (that would be making her less unique! ), we're increasing the potential rewards for successful coordination. When handing out post-holiday season buffs, there was no way we could leave out League's very own Anchor-man. Similar to our Sejuani changes in 4.21, we think Nautilus has acceptable weaknesses in the beginning phases, and we're not looking to change that here; rather, new scalings on his shield (remember, maximum health vs. bonus health is a significant change) makes Titan's Wrath hold pretty even - until Nautilus hits his 2nd health item, where he starts to see significant gains. Rek'Sai's a unique champion with a lot of mastery required to make full use of her piles of strategic mobility options - all of which is currently undermined (heh) by her raw strength as a duelist. While we want the queen to hold her own in a fight, holding her own in a fight against 4 people and getting out alive isn't quite what we had intended (sorry marksmen). Reign of Anger decays twice as fast, but Q, W, and E both generate more fury when hitting champions. Cull the Meek heals based on the number of champions hit rather than raw converting damage dealt to health. 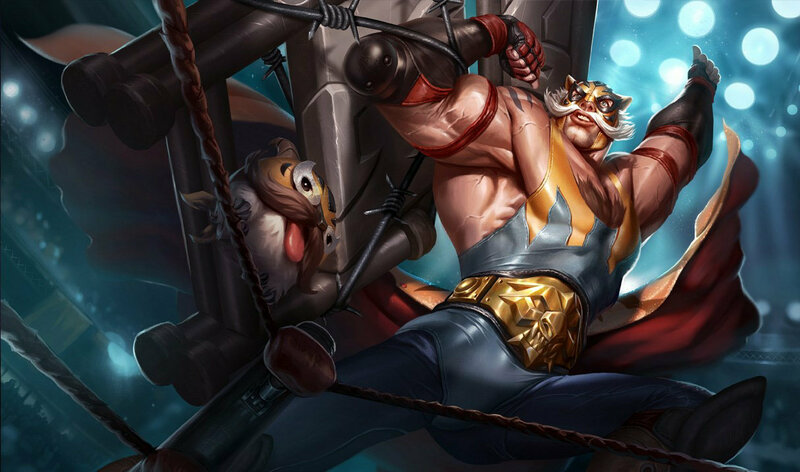 All hail the fallen king of fighters - Renekton was once the Titan of Top Lane, now pushed to the wayside by armor-stacking tanks able to weather his onslaught. To solve some of his issues without giving him the throne back, our top investiGators put fury under the microscope as well as tuning up Cull the Meek's healing. Fury as a mechanic is designed to give Renekton a way to scale meaningfully through combat, but currently falls a little flat, often just auto-winning trades due to its generation via minions. As of 5.1, Renekton gains more Fury while fighting champions (along with new bonuses to Fury on Ruthless Predator/Dice!) but gains far less for mindlessly shoving minion waves. This keeps Renekton's strengths when fighting 1v1 (god forbid the 1v2 or 1v3) but gives more rest between his fury-charged trades while on the losing end of the lane. Lastly, we've changed Cull the Meek to heal based on the number of champions hit rather than calculating the heal after mitigation occurs. This keeps Cull the Meek as a competitive option in the later stages of the game after the enemy team starts stacking armor which, in turn, provides a massive boost to Renekton's survivability in teamfights. Haaa... Oh dear. This wasn't a massive difference, but there was one all the same that we didn't see until now. Zombies already have Grievous Wounds, man. 2015 Jungle Love Train ends its 5.1 run visiting all the Skarner mains out there missing their kind. For similar reasons we've stated for Evelynn and Hecarim, Q cost reductions are here to compensate for the lack of Elder Lizard sustain, while a lower cooldown on Fracture ensures Skarner can continue to be annoying in those late game teamfights. For a champion that has her fair share of counters (ex. Leona, Blitzcrank, vocal chords), Sona's pattern lacks significant counterplay when these champs aren't present, leaving her laning phase pretty oppressive. To give her opponents more windows to counterattack, we're reducing some of her skirmishing power so she's not so obnoxious with that harp. Etwahl, sorry. Syndra's strength as a single-target burst-mage makes her a valuable pick considering the field of assassins she's currently facing. While we're a fan of her strength in focused pick compositions, her ability to dictate the early laning phases of would-be counterpicks makes her more of an all-rounded laner than we'd like. Weakening Dark Sphere in the first few levels and making her Scatter the Weak stun line up better visually should decrease the frustrations of her lane without curbing too much of that untapped power (hehe). Tooltips often contain numbers. Sometimes, we accidentally write those numbers smaller than they are. This is one of those times. KNOWLEDGE IS POWER, EXCEPT WHEN IT'S A TOOLTIP Tooltip updated to match actual max stun duration (2.25 seconds). Actual value unaffected. Ah, Zed. With your amazing plays topping many a competitive player's highlight reel, how could we not love you? All in all, Zed is one of the best examples of what we call a "healthy assassin" in League of Legends. That doesn't mean there aren't problems - while Zed's ability to delete squishies with a button press and some smooth moves is going to remain intact, he has so many other additional strengths that seem to push him over the edge. Given his amazing AD stats and his waveclear, should Zed be a top-tier tower-taker? Should he have amazing clean-up when his resources are depleted? While Zed's not receiving changes in this patch, we're committed to keeping LoL's favorite playmaking ninja fun to play as, and to play against. We're continuing our comprehensive pass at the game's older character textures. As with previous installments, our goal is to improve parity with newer releases and make sure everybody looks at home on the newly-updated Rift. At least two people said they're still reading this paragraph so we're gonna keep it! We're making readability improvements to a bunch of the champion portrait icons which were added or updated over the past few months. As we discussed in our performance optimization dev blog back before launch, our artists and engineers spent a lot of time exploring aesthetic solutions that balance visual fidelity and performance. Though we've all been playing on the new Rift for a few months, the team is continuing to look for ways to improve players' experience on our flagship map. This patch, we're redoing the textures on our lowest visual settings to address feedback regarding blurriness. We'll be smoothing out some of the smallest (read: noisiest) terrain details in exchange for increased sharpness and contrast across the map. This should improve readability while providing a higher quality experience. We half promise we won't remove this patch note in the middle of the night like last time, leaving you wondering if you're seeing things. Mainly because we're pretty sure we fixed it this time. What we're saying is this note is still here, so you're not crazy. Yet. We were experimenting with ways to give defending teams unique advantages outside of extra stats or raw strength (because that's no fun), and arrived at something a little different. The new base gates are passable by you and your allies (think of them like open terrain) but completely impassable by enemies (they function as regular walls for them). newCHARGES Has 'em. Smite now gains charges at a rate of 1 per 60 seconds with a maximum of 1 charge at any time ⇒ 1 per 75 seconds, with a maximum of two Smite charges at any time. Read below, there's no good summary here. First, when we say "leash," we're talking about the moment when a monster camp either loses aggro on its target or switches to a different target (ie: when two champions 'juggle' aggro between them). So if one of those Krugs wiggles between two targets rapidly, you can expect it to hard reset pretty fast. This will have the largest impact on duo-lane partners who like to balance monster damage between them but will also affect long-range junglers who use the camp aggro range reset to take even less damage. GO BACK TO YOUR HOME! Jungle monsters will 'hard' reset after 10 soft leashes ⇒ 5 soft leashes. Refer to the above context when we say "leashes" because it gets a little complicated. People were hiding wards under the Dragon, making it real tough to clear vision without poking this grumpy baddy in the eye. TOOLTIPS ARE HARD Tooltip bonuses for second and fourth Dragon buffs have been swapped to accurately reflect the change we made in patch 4.21. Baron Nashor does more reliable / automatic damage but does less with his dodgeable area-of-effect abilities. He also spawns with less health. Right now we've noticed that Baron Nashor is just too tough of an objective in the early to mid game, especially if the enemy team can contest even lightly. While a lot of this might just be about basic tuning, we also saw that teams trying to take Baron while under pressure from enemies ended up having a lot more difficulty dodging his high-damage spells (obviously), so we're shifting some of that power around. Still, end goal? We'd like a weaker Baron so he'll be more enticing to take throughout the game. ATTACK DAMAGE GAIN PER MINUTE 0 ⇒ 8 (capped at +310 AD after 40 minutes). Note: This counts from the start of game, not from the time Baron Nashor spawns. So when Baron first appears at 20:00, he has accumulated 20 minutes of bonus attack damage. HEALTH GAIN PER MINUTE 140 ⇒ 180 Note: This counts from the start of the game, not from the time Baron Nashor spawns. So when Baron first appears at 20:00, he has accumulated 20 minutes of bonus health. Upping the rewards for an efficient jungle run! You can now quickly exchange certain items in the shop. Rules and restrictions apply. SPEEDY SHOPPING Trinkets, unenchanted jungle items and boot enchants can now be exchanged! CONVENIENCE YOU CAN SEE Trinkets can be exchanged with other trinkets of equal level. Cost is calculated as 100% cost of the new trinket minus 70% cost of the old trinket (its sellback value). The 120 second new trinket cooldown still applies. CONVENIENCE YOU CAN SMITE Unenchanted jungle items can be exchanged with another unenchanted jungle item for free! Jungle item enchants can't be exchanged. CONVENIENCE YOU CAN...STEP ON Boot enchants can now be exchanged. Cost is calculated as 100% cost of the new enchant minus 50% cost of the old enchant. Boot cost is not factored into the exchange - this is a buff. TROPHIES ARE CUSTOM ORDER Exchange tech hasn't been built out for Rengar's Bonetooth Necklaces. Sorry, kitty. You can now build Portals which spawn little Voidspawns who explode on enemy structures. Think of this new item as a follow-up to our original preseason promise of adding more strategic diversity to League of Legends. Specifically, the Zz'Rot Portal is designed to provide tanky dudes with a new way to opt into pushing strategies while also having enough utility to be used in other creative ways. UNIQUE PASSIVE Point Runner: Builds up to 30% Movement Speed over 2 seconds while near turrets or Void Gates. UNIQUE ACTIVE Spawns a Void Gate at target location for 150 seconds. Every 4 seconds the gate makes a Voidspawn that travels down the nearest lane. Voidspawn explode when attacking structures. Voidspawn ignore champions and void targets (150 second cooldown.) After the third Voidspawn made by Void Gate, additional Voidspawn gain 50% of your Armor and Magic Resistance as damage. Back in patch 4.21 we added extra gold to Hunter's Machete and all tier 2 / tier 3 jungle items, but noted that we might have gone a little light. Well, now that we've seen the impact of the changes, we can go just a little harder. So here we are. Design levers! Chilling Smite steals movement speed rather than just slowing for a heavy amount. Chilling Smite's a little too effective at what it does, so we're looking for ways to reduce its power without making the ganker feel bad about the decisions they've made. Switching Smite's slow from a straight 50% kneecap to a movement speed steal means the smited champ can still dodge skillshots or get under the tower, rather than hobbling along eating all the Ezreal Mystic Shots in the world. Just a small cost correction after we removed and revived Negatron Cloak. There's a Guardian Angel joke in here somewhere but we're not looking for it. We've been keeping an eye on marksmen power for some time and specifically wanted to tackle Infinity Edge, the new ubiquitous AD item that's replaced Bloodthirster since patch 4.10 (wow has it really been that long?). Rather than straight chopping away damage, however, reducing IE's crit chance means we can accentuate its reliance on other crit multiplier items in order to scale well into the mid-late game. Your required reading for Phantom Dancer context is to read the Infinity Edge context (above) before starting here. There isn't much else to add beyond the Infinity Edge context (shifting crit multipliers to mid-game items), except that we're hoping to solidify PD as a single-target focused item versus Shiv's area-of-effect power strengths. Right now Morellonomicon is a super cost-efficient item for what it offers, so we're pushing it to be more on-par with its mana regeneration alternative - Chalice. Yellow and blue trinket upgrades are cheaper, yellow trinket upgrades are on a shorter cooldown, red trinket upgrade is cheaper. Just some small rebalancing on trinkets so that teams who are behind have stronger vision options to stay on the map, while aggressive upgrades (basically Red trinket) are a little less overbearing. Self healing is back to full strength on ARAM, but all healing effects on allies are reduced by 50%. Mana regeneration auras on HA are also reduced by half. Healers on ARAM make games no fun. Nyah. That's basically the rundown of this change, but to explain a little deeper - we wanted to help out champs who rely heavily on self-healing for their strength (Zac, Maokai) while reducing the power of pokey-heal champs who are pretty much the best in these kind of matchups (looking at you Sona). Most Tier 1 and 2 runes are leaving the store, while the rest are much cheaper. Also, no more rune combiner. We believe Tier 1 and 2 runes should be an introduction to the rune experience which new players quickly move on from as they reach level 30. Duplicating the entire 88-rune Tier 3 roster is overkill for this purpose so we're reducing the number of purchasable Tier 1 and 2 runes to 23. As for the Rune Combiner.... it hasn't really done its original job of facilitating progression between rune tiers. Instead, it's become a bit of a trap for low-level players as well as a tool for mischief in the case of shared or compromised accounts. So, we're retiring it. KEEP IT SIMPLE The following Tier 1 and 2 runes have received the price reductions listed above. All other Tier 1 and 2 runes are no longer purchasable, but remain usable and will not be removed from players who already own them. REMOVED The Rune Combiner has been removed. If you reach the 700-rune limit, please contact player support. Thanks to your continued feedback, we've moved some more important buffs back to the center of the HUD. Much like skins in-game, we believe Summoner Icons are a way for players to express their identity out-of-game. As philosophy around Summoner Icons has evolved, so has our quality standard. Though our classic summoner icons (the ones granted to every account at level 1) have a bit of.... dated... charm to them, we want new players to feel like they have compelling options to choose from. We're starting the new year with four refreshed icons and will proceed based on your feedback. VISUAL UPDATE The Tibbers Claw, Tibbers Teddy, Sprout and Rose icons have been updated!